People have been enjoying salmon as a food ever since this beautiful fish appeared in the Earth's waters. Like other fish, in addition to being consumed in fresh form, preservation techniques such as smoking or salting were used to preserve the salmon. Smoked salmon is still considered traditional fare in many cuisines throughout the world. 1. Preheat oven to 400 degrees with rack in center. Then make the glaze: In a small bowl, stir brown sugar, olive oil, soy sauce, lemon juice and water until the sugar has dissolved. 2. 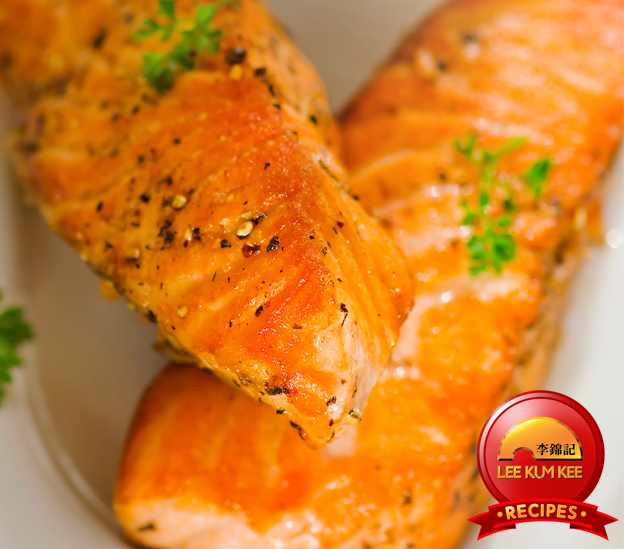 Cut salmon fillet into 4 equal sized pcs. Arrange them skin side down, in a single layer in a baking dish. Pour the glaze over the fish and turn it to coat evenly. 3. Bake until the salmon is opaque but still bright pink inside, basting every few minutes with glaze from the baking dish, 15 to 20 mins. Serve with lemon wedges.